Hey everyone, so a rather exciting blog post today, a giveaway! The 1st of July marked my blog being two years old and this giveaway has been in the making for sometime and just happen to tie with my 2 years of blogging, so what better way to celebrate then with some lovely jewellery by Abilu Creations. Please sign up to the Abilu Creations mailing list here. Please follow them on Twitter here and like them on Facebook here. 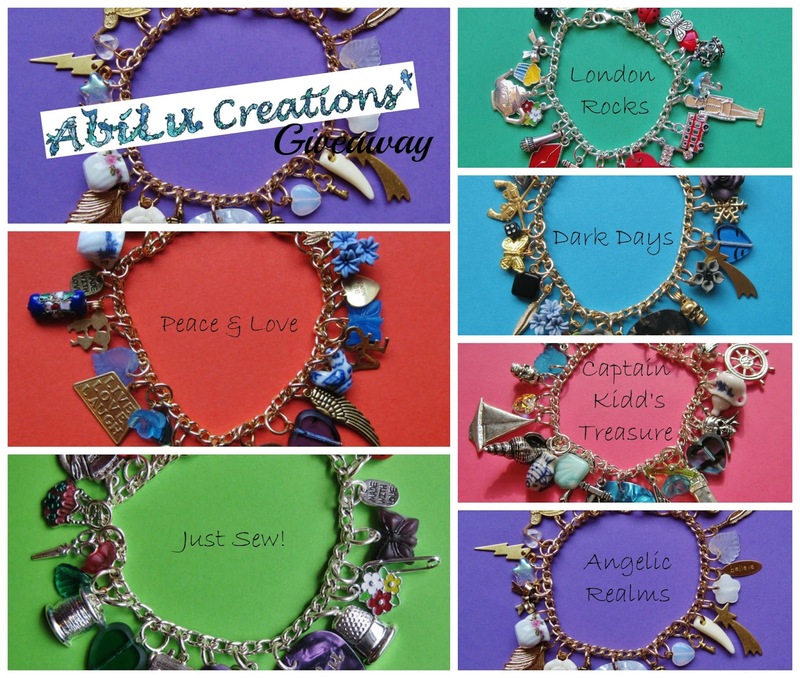 T&C - This is A British Sparkle giveaway sponsored by AbiLu Creations to give one lucky winner the chance of winning a plectrum bracelet (as seen above) of your choice. There will be only one winner. If you are under 18, please get parental permission. Once a winners been chose you have 7 days to get back in contact else another winner will be chose, the bracelet will then be sent straight from AbiLu Creations. You will need to provide me with personal details, address and full name which I will then pass on to the team at AbiLu Creations. I will announce the winner via Twitter. The person/persons at A British Sparkle are not responsible for any lost, stolen, broke or undelivered items. This giveaway is a EUROPEAN giveaway, anyone living in the EU can enter. I will check all entries so please enter correctly, else your entry will not be valid. Competition ends on the 8th of August. Thank you and good luck. I'd love to win Captain Kidd's treasure, what an awesome giveaway and happy blog birthday - such a milestone!! 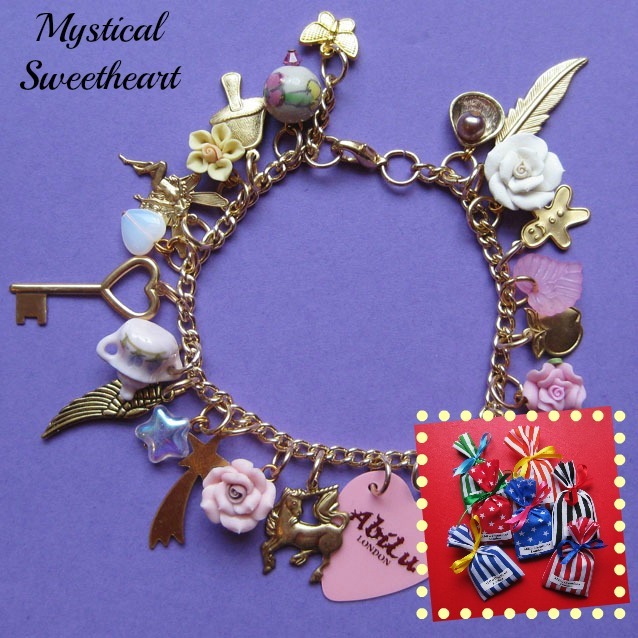 I'd have to pick Mystical Sweetheart, I love the roses on it! I hope I win Dark Days! xoxo. I love the just sew bracelet!